Integrative Psychotherapy research papers examine the amalgamative approach, which combines various schools of psychotherapy into a holistic attempt to achieve greater levels of personal growth and self-awareness in a patient. Integrative psychotherapy is an amalgamative approach, combining various schools of psychotherapy into a holistic attempt to achieve greater levels of personal growth and self-awareness in the patient. Some therapists who utilize integrative psychotherapy take specific aspects from certain theories, while others have a far more eclectic approach. In many ways, integrative psychotherapy emerges in the individual practitioner through working with clients. The first way to develop integrative psychotherapy is for the therapist to determine which common factors exist in the various schools of thought. One advantage of this approach is that it allows for understanding various techniques that have proven to be effective. Eclecticism, on the other hand, has the advantage of adapting practical strategies without being overly reliant on any particular theory. However, such an approach may lack a coherent conceptual framework. 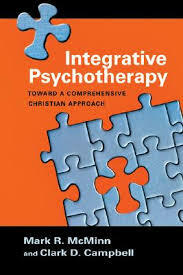 Overall, though, integrative psychotherapy can describe any approach that combines therapies. For example, a popular and effective form of treatment combines psychotherapy with hypnotherapy. Many integrative practices also combine meditation techniques for patients, derived from Eastern philosophies. Such flexibility allows the therapist to look for the roots of problems in the various stages of development that human beings experience, as opposed to being restricted by one school of thought. Managing Chronic Pain With Psychotherapy Research Papers go into an order placed for graduate level services on a clinical project that involves a literature review. Paper Masters writes custom research papers on Integrative Psychotherapy and examine the amalgamative approach, which combines various schools of psychotherapy into a holistic attempt to achieve greater levels of personal growth and self-awareness in a patient.